Even if we perform upon thousands of good works, my brethren: fasts, prayers, almsgiving; even if we shed our blood for our Christ and we don’t have these two loves [love of God and love of brethren], but on the contrary have hatred and malice toward our brethren, all the good we have done is of the devil and we go to hell. But, you say, we go to hell despite all the good we do because of that little hatred? Yes, my brethren, because that hatred is the devil’s poison, and just as when we put a little yeast in a hundred pounds of flour it has such power that it causes all the dough to rise, so it is with hatred. It transforms all the good we have done into the devil’s poison. This entry was posted in Sayings from Saints, Elders, and Fathers, St. Kosmos Aitolos and tagged A Little Leaven Leavens the Whole Lump, Alms, Fasting, Hatred, Hell, Love of God, Love of Others, Loving Enemies, Malice, Martyrdom, Prayer, The Evil One, Works, Yeast/Leavening on February 24, 2016 by ocqadmin. St. Isaac the Syrian: I also maintain that those who are punished in Gehenna are scourged by the scourge of love. . . . I also maintain that those who are punished in Gehenna are scourged by the scourge of love. Nay, what is so bitter and vehement as the torment of love? I mean that those who have become conscious that they have sinned against love suffer greater torment from this than from any fear of punishment. For the sorrow caused in the heart by sin against love is more poignant than any torment. It would be improper for a man to think that sinners in Gehenna are deprived of the love of God. Love is the offspring of knowledge of the truth which, as is commonly confessed, is given to all. The power of love works in two ways. It torments sinners, even as happens here when a friend suffers from a friend. But it becomes a source of joy for those who have observed its duties. Thus I say that this is the torment of Gehenna: bitter regret. But love inebriates the souls of the sons of Heaven by its delectability. This entry was posted in Sayings from Saints, Elders, and Fathers, St. Isaac the Syrian and tagged Divine Love, Heaven, Hell, Joy, Love, Love of God, Punishment, Regret, Sin, Spiritual Knowledge, Suffering, Torment, Truth on August 27, 2015 by . In the future Judgment, the condition of each person will be revealed in an instant, and each person on his own will proceed to where he belongs. Each person will recognize, as if on a television screen, his own wretchedness, as well as the spiritual condition of others. He will reflect himself upon the other, and he will bow his head, and proceed to the place where he belongs. For example, a daughter-in-law who sat comfortably with her legs crossed in front of her mother-in-law, who with a broken leg took care of the grandchild, will not be able to say, “My Christ, why are you putting my mother-in-law into Paradise without including me?” because that scene will come before her to condemn her. She will remember her mother-in-law who stood with her broken leg in order to take care of her grandchild and she will be too ashamed to go into Paradise — but there will be not place for her there, anyway. Or, to cite another example, monastics will see the difficulties, the tribulations of the people in the world and how they faced them; and if they have not lived appropriately as monastics, they will lower their heads and proceed on their own to the place where they belong. There, nuns who did not please God will see heroic mothers who neither took vows nor had the blessings and opportunities that they, the nuns, had. They will see how those mothers struggled, as well as the spiritual heights they attained, while they, the nuns, who with petty things preoccupied and tormented themselves, will be ashamed! These are my thoughts about the manner of the Final Judgement. 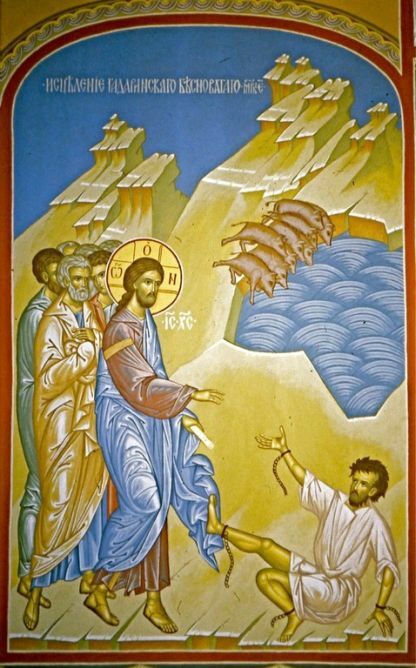 In other words, Christ will not say, “You come here; what did you do?” Nor will He say, “You go to Hell; you go to Paradise.” Rather, each person will compare himself with the others and proceed to his appropriate place. This entry was posted in Sayings from Saints, Elders, and Fathers, St. Paisios of Mount Athos and tagged Family Life, Final Judgement, Hell, Kingdom of Heaven, Monasticism, Motherhood, Reveal on August 17, 2015 by . St. Thomas Sunday Nocturns: Pilot my wretched soul . . . This entry was posted in Church Prayers, Hymns, Services, Pentecostarion and tagged Death, Demons, Hell, Sin, Soul, Soul and Body Separating, Tollhouses on April 24, 2015 by . Four Stichera at the Praises, Matins, Meatfare Sunday: I think upon that day and hour when we shall all stand naked . . . I think upon that day and hour when we shall all stand naked, like men condemned, before the Judge who accepts no man’s person. Then shall the trumpet sound aloud and the foundations of the earth shall quake, the dead shall rise from the tombs and all shall be gathered together from every generation. Then each man’s secrets will be manifest before thee: and those that have never repented shall weep and lament, departing to the outer fire; but with gladness and rejoicing the company of the righteous shall enter into the heavenly bridal chamber. How shall it be in that hour and fearful day, when the Judge shall sit on his dread throne! The books shall be opened and men’s actions shall be examined, and the secrets of darkness shall be made public. Angels shall hasten to and fro, gathering all the nations. Come ye and hearken, kings and princes, slaves and free, sinners and righteous, rich and poor: for the Judge comes to pass sentence on the whole inhabited earth. And who shall bear to stand before his face in the presence of the angels, as they call us to account for our actions and our thoughts, whether by night or by day? How shall it be then in that hour! But before the end is here, make haste, my soul, and cry: O God who only art compassionate, turn me back and save me. Daniel the prophet, a man greatly beloved, when he saw the power of God, cried out: “The court sat for judgment, and the books were opened.” Consider well, my soul: dost thou fast? Then despise not thy neighbor. Dost thou abstain from food? Condemn not thy brother, lest thou be sent away into the fire, there to burn as wax. But may Christ lead thee without stumbling into his kingdom. Let us cleanse ourselves, brethren, with the queen of the virtues: for behold, she is come, bringing us a wealth of blessings. She quells the uprising of the passions, and reconciled sinners to the Master. Therefore let us welcome her with gladness, and cry aloud to Christ our God: O risen from the dead, who alone art free from sin, guard us uncondemned as we give thee glory. This entry was posted in Church Prayers, Hymns, Services, Lenten Triodion and tagged Angels, Asceticsm, Book of Life, Cleansing, Cleansing of Sin, Compassion, Condemnation, Fasting, Final Judgement, Free Man, Hell, Judgement, Judgement of God, Judgement/Meatfare Sunday, King, Mercy of God, Old Testament Events, Old Testament People, Omnipotence of God, Overcoming Sin/Passions, Passions, Poor, Prophet Daniel, Purification, Purifying Fire, Repentance, Resurrection, Scripture Book of Daniel, Secret, Sinner, Slave, Soul, Standing in Presence of God, The Wealthy and Rich, Virtue, Weeping and Gnashing of Teeth on February 16, 2015 by . From the Russian text appearing in Chapter 2 of “Solntse Pravdy: O Zhizni i Uchenii Gospoda Nashego, Iisusa Khrista” [“The Sun of Righteousness: On the Life and Teaching of Our Lord, Jesus Christ”], by Protopriest [Saint] Ioann [John] (Sergiev) of Kronstadt, pp. 4-6. Translated into English by G. Spruksts. This entry was posted in Sayings from Saints, Elders, and Fathers, St. John of Kronstadt and tagged Condescension, Condescention of God, Creation, Falling Away, God as Creator, God as Master, Harrowing of Hell, Hell, Mercy, Mercy of God, Nativity of Jesus (Christmas), The Evil One, The Fall on January 4, 2015 by . 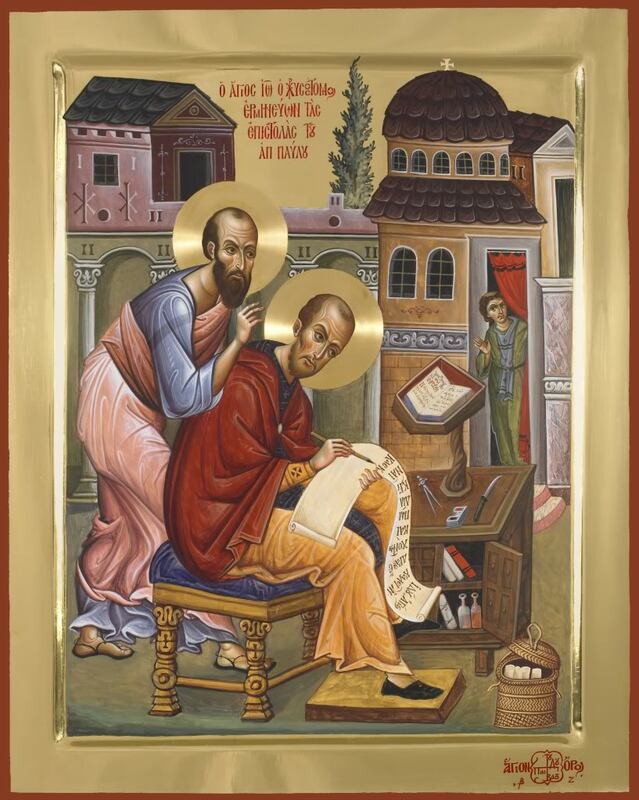 St. John Chrysostom: Discouragement does not allow the one who falls to get back up . . . This entry was posted in Sayings from Saints, Elders, and Fathers, St. John Chrysostom and tagged Conquering Evil, Discouragement, Evil, Falling Down Getting Up, Heaven, Hell, Sloth on December 31, 2014 by . St. Dorotheos: A man obtains the fear of God if he has . . . This entry was posted in Sayings from Saints, Elders, and Fathers, St. Dorotheos of Gaza and tagged Death, Fear of God, Hell, Remembering Death on November 6, 2014 by . 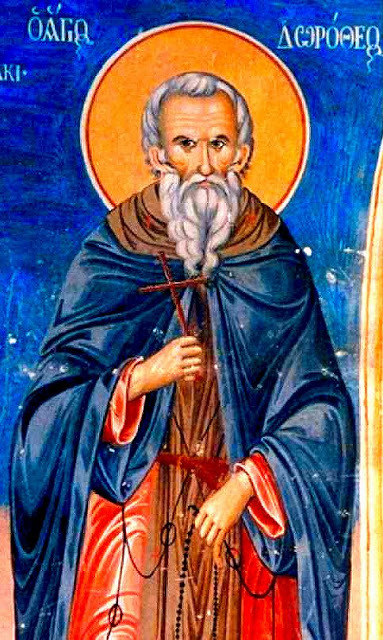 St. Pachomius the Great: . . . shun the satisfactions of this age, so as to be happy in the age to come. . . .
“As for you, my son, shun the satisfactions of this age, so as to be happy in the age to come. Do not be negligent, letting the days pass by till unexpectedly they come looking for you and you arrive at the straits of your anguish and the ‘horror-faces’ surround you and drag you off violently to their dark place of terror and anguish. Do not be sad when you are cursed by men; be sad and sigh when you sin — this is the true curse — and when you go away bearing the sores of your sins. This entry was posted in St. Pachomius the Great and tagged Abstaining from Evil, Awareness of Sin, Death, Demons, Eternity, Hell, Humility, Judgement, Living Orthodoxy, Persecution, Sensual Pleasure, Sin, Spiritual Labors, Tollhouses, Worldliness on October 18, 2014 by .